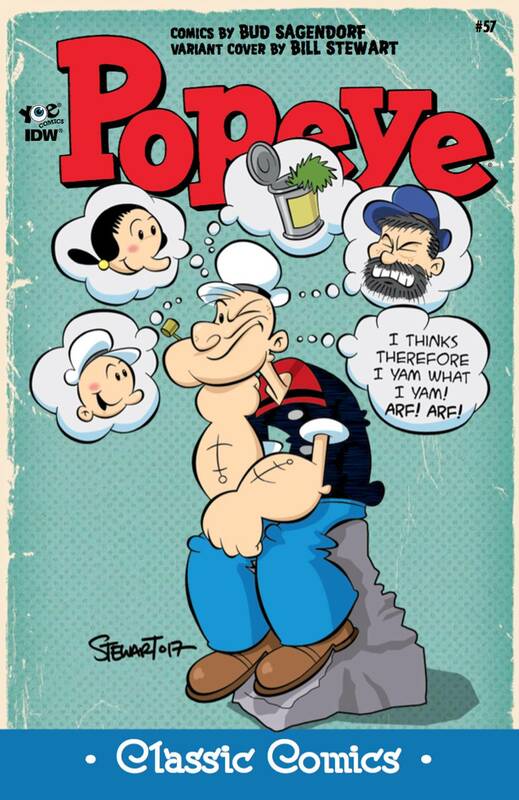 In the first story, Popeye fights a titanic sea battle to bring orchids to hungry jeeps--watch out for the Sea Hag! Plus, an adventure-filled Old West story, 'Pot of Gold,' including Wimpy and Swee'pea. Read a delightful Uncle Elmo story and a hilarious O.G. Wotasnozzle comic!